We respect your privacy. Never shared. 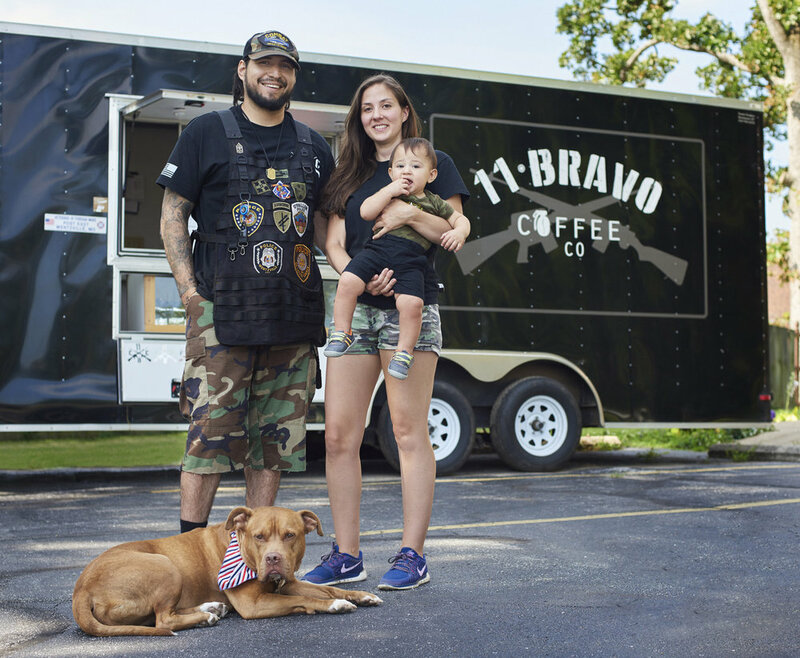 Welcome to 11 Bravo Coffee Company (11BCC), where our mission is to provide you, our customers, with the ultimate coffee experience, while also supporting our local Veterans. 11BCC started with a vision by enlisted soldier, Sgt(R) Victor Alaniz (who goes by Vic), and his wife Erin. Their love for coffee inspired them to not only start a family-owned business, but one that would also support veterans like Vic. So Much so he enlisted his brother who was a "Doc" for an infantry platoon with the 82nd Airborne Division in the help of expanding the business and helping his brother develop a business that could help provide for him his wife and 3 boys. In the same light, you could say veterans are the heart and soul of 11BCC. It is the core of our company to first and foremost honor and recognize Veterans who have served honorably, their families, and anyone who supports them by offering exceptional tasting specialty coffee drinks and products. In addition, we support and promote other local and veteran owned businesses, and work in partnership with our local VFW. The US Army instilled in Vic a commitment to excellence, dedication, quality and service, which are the same values upheld by 11BCC and their commitment to provide you with the highest quality coffee. General George S. Patton said, "Better to Fight for Something than Live for Nothing." 11BCC is a group of hard-working individuals who are inspired by our Veterans and their sacrifices, and who are committed to serving their community, local and veteran owned businesses, and suppliers with the utmost integrity and respect.